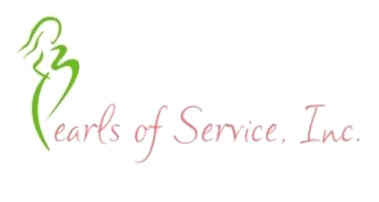 Pearls of Service, Inc., is a nonprofit charitable organization created by Alpha Kappa Alpha Sorority, Incorporated,® Chi Zeta Omega Chapter, of Plano, Texas. It is the fundraising arm of the chapter and was created to support educational scholarships and various community service of Chi Zeta Omega Chapter, and other Collin County organizations. Our mission is to raise and distribute funds in support of charitable and educational efforts in Collin County. In addition to providing college scholarships, we support youth development, health, family empowerment, and initiatives focusing on environmental and global concerns. Pearls of Service, Inc. (POS) works in partnership with Chi Zeta Omega Chapter to provide financial support in implementing initiatives in youth development, health, family empowerment, and initiatives focusing on environmental and global concerns. We also sponsor an annual Mother-Daughter Scholarship Tea, the Pearls and Ivy Debutante Ball and other fundraisers such as the "Tickled Pink Comedy Affair" and "A Touch of Pink on the Green" Golf Tournament. Pearls of Service, Inc. is a registered 501(c) 3 nonprofit charitable organization and donations are tax deductible. For information on ways to donate click the Donate tab above. We encourage and welcome support from community members. Together, we can continue our legacy of community service.